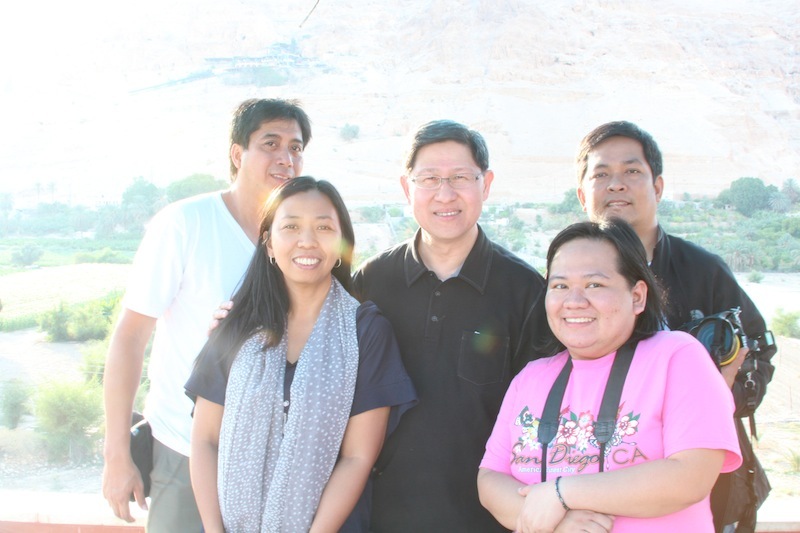 A couple of years ago, I travelled to Israel with my JesCom Team to film a documentary which subsequently aired over ABS-CBN. The fact that I haven’t written about it is causing me constant frustration! I’ve attempted to sit down, sift through the thousands of photos I’ve taken, and write about this unforgettable trip several times. But life always gets in the way! *Sigh* I will share this wonderful experience with you, soon. I promise. For now, here are a couple of Footnotes taken in Jerusalem. The one above features my pretty Hush Puppies :). 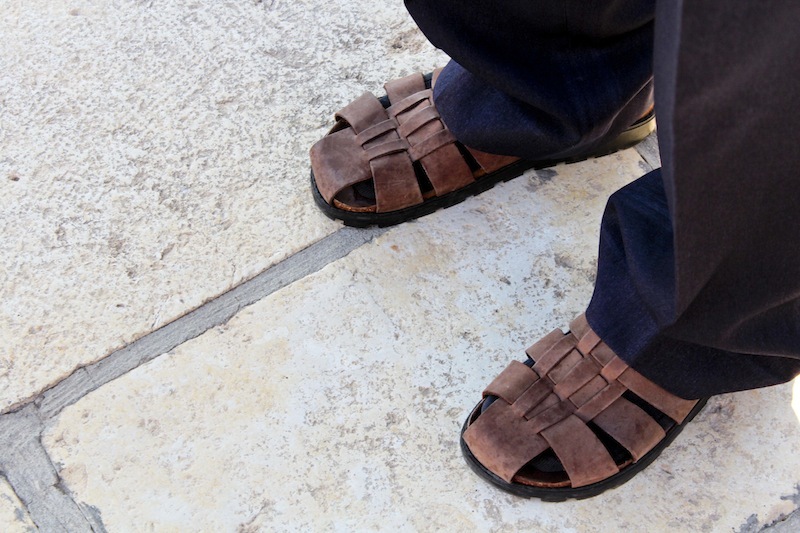 The other, below, shows the simple sandals of one of the most charismatic leaders of the Catholic Church in the Philippines. Can you guess to whom these sandaled feet belong? See the last photo to find out! Yup, that’s the JesCom Team with the Archbishop of Manila, Cardinal Chito Tagle.